I wanted to write a political piece about race and culture and how to fix it all, but…. I’m tired. And I’m too realistic to pretend that I can pull out a single solution from the complex and intricate tangle of thread that all of racism is. Instead, I want to write about Advent and what that really truly looks like. You see, I have noticed that Advent doesn’t always seem to be a very fun time. In reality, it often is a stressful time that goes by too fast for the amount of cooking, shopping, gift-wrapping, and (if you’re a teacher) grading to do. And this over-ambitious girl over here decided to take on a few Advent devotionals to “keep her mind on Jesus”. In all actuality, I’ve been racing through the devotionals, trying to check them off my list so that I can finally go to sleep or rush to work, or grade the last of the AP essays. How counterproductive to want so desperately to focus on Christ, but then neglect deep, intimate, uninterrupted time with the Lord. I think it’s because, in this hustle and bustle season, there is a soft place in my heart that aches for more. More time. More sleep. More money. More rest. And at the same time, that same place is overwhelmed and overstimulated with too much. Too much food. Too much spending. Too much travel. Too much to do. 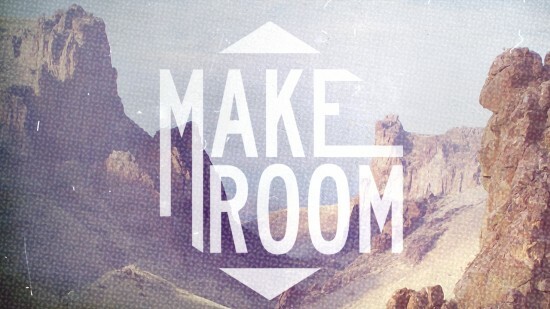 There is something rustling in my heart, whispering “make room”. Because there is too much there. But there is more to come. Make room for the babe we are waiting for this Advent– this “Wait-Time”, as they call it. Make room for the joy and for the sadness too. Because where there is joy, there is also sadness too, isn’t there? A baby is born who is meant to live, but who knows He must die a terrible death at the hands of sinners who reject His gift. I wonder if He knew, as much as babies can, even swaddled in the manger and surrounded by his earthly teenage parents. I wonder if God grieved a little, knowing His Son–Himself– would have to live the painful life of a mere human. And yet, how joyful the news of a baby! How much even more so, the news of a Savior? As God grieved, I just know that He was also joyful, knowing that this baby, this little piece of Himself that we could even hope to understand, would mean the unbreakable connection between Himself and His people. That our relationship with God could be salvaged by this little human who was equally this little God. How joyful and how glad the news of this baby’s birth! Let every heart, prepare Him room! Prepare Him room. There is too much in the way for Him to come. So prepare Him room. These words instruct us. Or at least, they instruct me. Christmas: the celebration of Christ, has been commercialized and warped… blah blah blah. You know. And this is also why there is sadness. Jesus knew, even as a little child, I’m sure, that He came to live as an example, train up disciples of God, and then to die. And yet, he rejoiced. He was joyful. He knew the suffering He would have to face, yet He gave thanks. He was at peace. For me, especially during this season, peace is often illusive. How do I find it amidst the business, the stress, the exhaustion, the burn out? Giving Thanks requires Trust with a capital T. To never be anxious about anything requires complete surrender without looking back. That is what Jesus did when He lived a life He knew would end in a terrible death, and what God did when He set the plan for our salvation in motion. The terrible death turned out to be the one opportunity we have for eternal life, and it was all worth it to Him. You are I are worth it to Him. How can I not be joyful with this? How can I not give thanks? His peace abounds if I ask for it, giving thanks as I go. A peace that rises above all understanding. This Advent, prepare Him room. Because it’s what Christmas is really about, but also because He has prepared a place for you. And all you have to do is accept the room. It’s yours and mine. I wanted to write a political piece about race and culture and how to fix it all, but…. I’ve got to make room for Christ. And I’m too in love with Him to not write about Him today, preparing Him the room He deserves in all of this. Because there is joy amid this sadness, and today I feel God asking me to remember that. Jesus is the author of all peace, gentleness, and joy–even in the midst of all this turmoil and hurt–I come to Him to receive these beautiful gifts, and He gives them to me freely. He’ll give them to you too. But we’ve got to make room. Thanks Phil. Hope your Christmas was wonderful and that you have a Happy New Year!